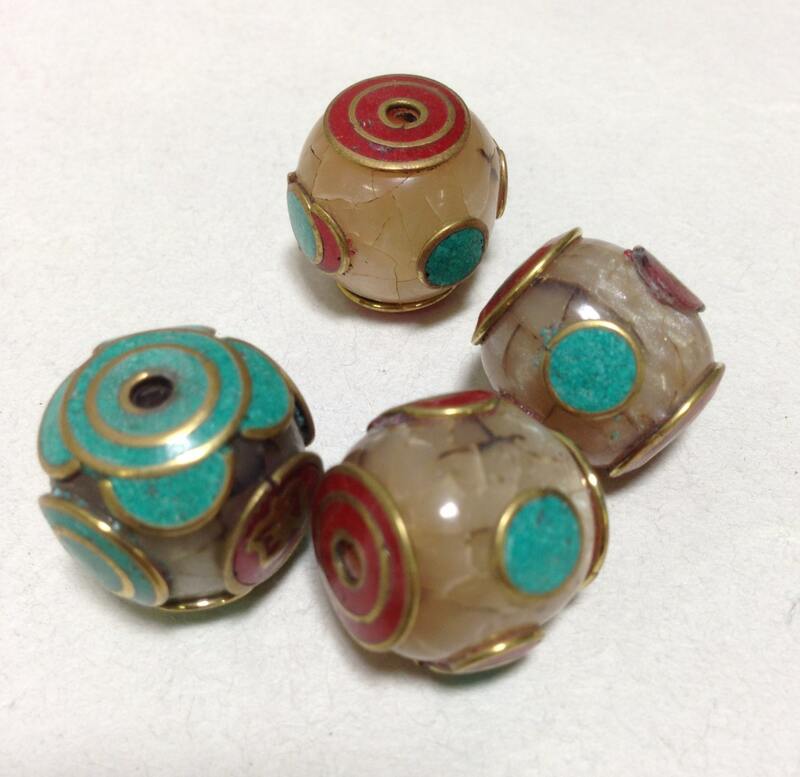 These are beautiful Tibetan Handmade Brass Etched Yellow Pearlized Resin Crackle Barrel Beads with Turquoise and Coral embellishments and is sold in a quantity of 4. 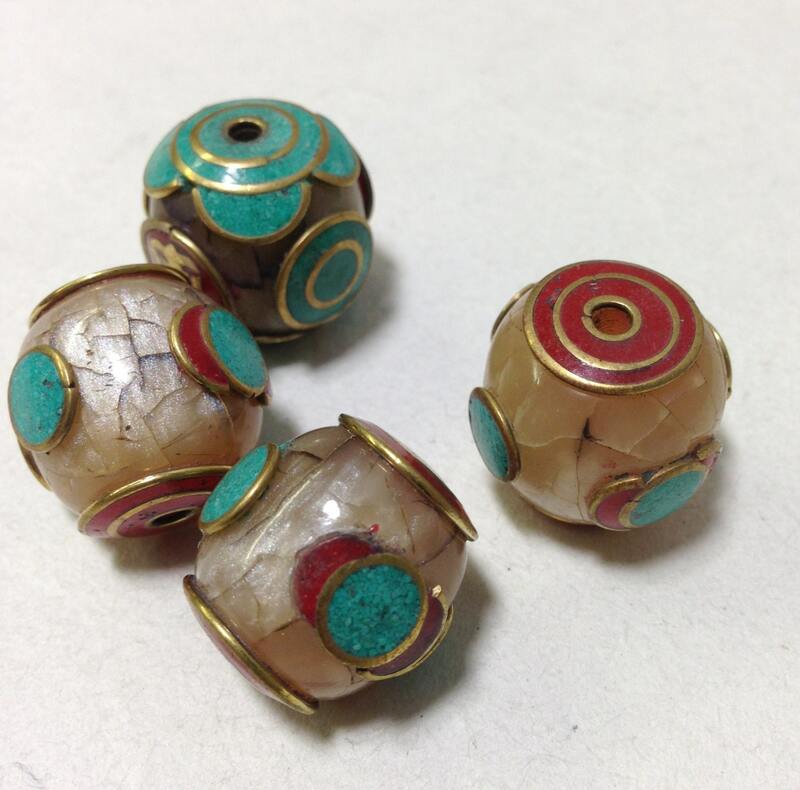 These Tibetan Yellow Pearliized Crackle Beads with Turquoise and Coral Embellishments will be elegant as a center bead in a Necklace or Bracelet. 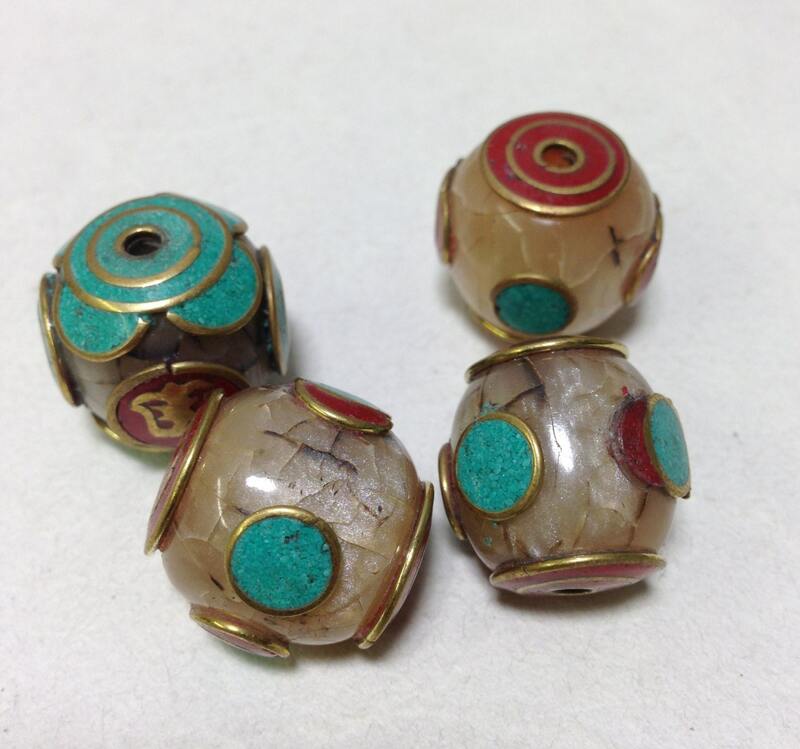 This bead would be a truly elegant component for all your jewelry designs and has true Tibetan craftsmanship.